Pinball machines are a mainstay in arcades. The classic game consoles can provide hours of entertainment and also frustration. If you love this retro gaming style, now you can bring it home with the Virtual 60-Game Pinball Arcade, the system that has all the pinball you could ever want. 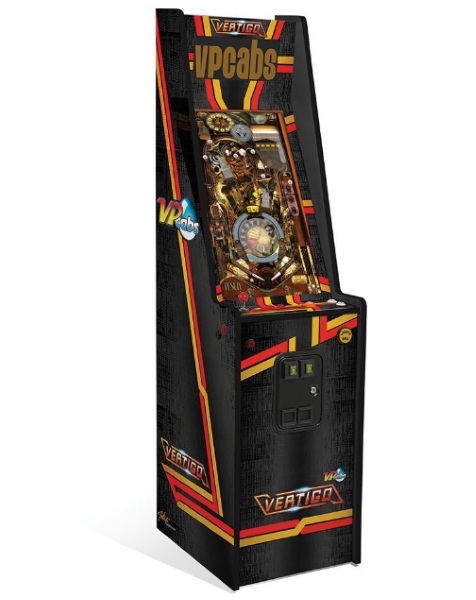 At first glance this looks more like a normal arcade machine than a pinball one, the cabinet is thin and that’s because these are not physical pinball games, they’re virtual. There’s no rush of excitement as you pull back the plunger to start the game. It’s a button push. This system includes a wide variety of games to choose from the start menu. Once you’ve made your pick, the game operates as it normally would in which you should keep the ball from dropping into the gobble hole which signals the end of the game. This game cabinet takes a few weeks to ship so you better buy quickly if you’re planning a holiday surprise. The Virtual 60-Game Pinball Arcade is $4,000.